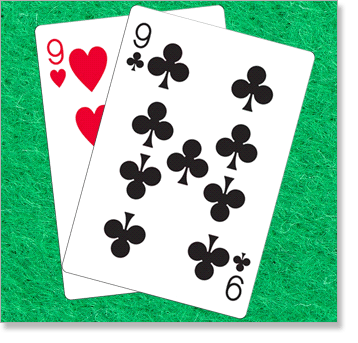 You are showing a King and a Six, and the dealer is showing a Five – basic strategy says to stand if the dealer shows a Six or any card of a lesser value, otherwise you should hit. But you are more interested in chatting up the blonde in the red dress sitting next to you at the table. You’re tipsy, and so you’re semi-confident. You hit assertively, but in truth not really thinking, and get dealt a Five. “And that’s how you play blackjack,” you proudly exclaim to the blonde girl who is now considering asking you for help on her pair of Nines. She does, and is dealt a Queen to one (and promptly stands), and an Ace to the other (and promptly stands). The dealer then draws a Trey and a Jack, and beats everyone else at the table with his 18 bar you and your new friend. If you’re serious on learning basic strategy, we recommend reading our Blackjack Rules and Optimal Play article. 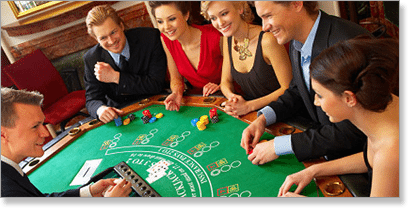 Here, we hope to impart on you some timely advise in a humorous manner, so you can get a laugh but also gain some valuable information about what should always be enjoyable activities – playing 21 and gambling. Hit means yes, stand means no. Enjoy. 1. 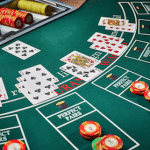 There usually aren’t too many variations of blackjack at brick-and-mortar casinos, but if you find yourself at Crown, Jupiter, The Star, or any of Australia’s other state casinos, there will be many tables with different betting limits. The lower limit tables are generally those which have much less player-friendly rules (such as Blackjack Plus, where dealer pushes on 22), while the higher limit tables resemble traditional versions of the game which own better odds and a lower house edge. Sacrifice a bit more of your bankroll to work with odds and rules which benefit the player? HIT. 2. 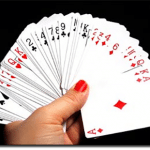 You’ve just finished playing three hands and you’ve won each one. You’re on a roll. A casino staff member walks over to your table with a case of chips, because this table is running low. The dealer politely tell his players “this wont take long if you want to stick around.” You hate breaks in play – another advantage of online play: no breaks. The case is open in full view and your eyes scan over those $100 and $1000 chips. You work out there’s roughly $7,500 worth of chips there – it’d help out with the bills, and you could take a nice holiday to Vegas, too. You ponder how far you could get before security tackles you to the ground. Could you make it to the car? Grab a handful of hundreds and thousands and sprint as fast as possible? STAND… but ponder nevertheless. 3. You’re a guy. You hold the intention of heading to the casino for a night out and hopefully wooing a lovely lady for a drink later on. You sit down at a table next to the girl who looks like she could potentially use some assistance playing 21. If you get as far as our opening character got, you’re doing pretty well. If you simply start up an enjoyable conversation, and give her some healthy tips, you’re not doing too bad either. The waiter comes over and asks: “anyone care for a drink?” DOUBLE DOWN; buy one for you and one for her. 4. You’re down to your last $20 – time for one final hand. You get dealt a King and a Jack. Good start. The dealer draws an Ace. Not great, but you’ll take it. The player seated in the last position is taking his time. He’s drunk and is becoming increasingly annoying (another plus to Internet casinos – no annoying people in traditional RNG or live dealer blackjack). He shows 13. Take one for the team and hit, mate, you think to yourself, because you know the next card is going to be a face (a complete gut feeling based on no evidence, however). He stands. The dealer draws a Queen. All players let out a harmonious groan. You feel aggrieved and now you’re out of cash. So what’s your next move? An ATM dash? A McDonald’s stop over? SPLIT and enjoy the rest of the night with your mates. A significantly larger collection of games – our suggested websites each own around 40 unique blackjack titles, many of which you can’t play at a land-based venue here, and all of which have minimum and maximum betting limits to suit all types of players (often as little as $0.50 per hand, and as much as $1000). Better odds for the player and more player-friendly rules – often we can find games which hold a house edge of less than one per cent. Superior bonuses and promotions, such as welcome bonuses, daily, weekly and monthly competitions, free bets, cash prizes and free entry to select tournaments. Live dealer titles such as 21, roulette, baccarat and poker, where we view and play with real people dealing and spinning genuine casino equipment via high quality video feeds. A convenience aspect unmatched anywhere else. Sign up @ www.RoyalVegasCasino.com and let us know what you think of their selection of blackjack titles, including Double Exposure, Redeal 21, Multihand Perfect Pairs, Hi-Lo 13, High Streak 21 and Vegas Single Deck.